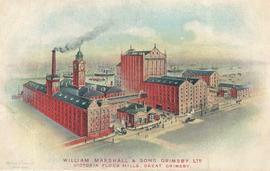 UK and foreign Mills. Emphasis on wind-powered sites in the UK, Europe and North America. The majority of Mildred's collection is currently still in her possession. As a trustee of the Mills Archive, she has agreed that her collection will eventually be transferred in its entirety to the Archive. Until then access to some originals for viewing may be difficult, although higher-resolution copies of the images online here may be inspected at the Archive; please email visitors@millsarchive.org to arrange an appointment.